Enchantment Descriptions is a light weight client-side mod which adds descriptions of enchantments to the tooltips of enchanted books. This mod currently has support for all vanilla enchantments, and modded ones will be added over time. Can I use this mod on a server? Yes, this mod will work on a server. It is a client side mod, so it should not be installed on the server. Yes, just give credit and link back to this page. Isn't this already done in WAWLA? Yes, the feature provided by this mod is directly from my other mod WAWLA. A few people had asked for that feature to be split off into its own mod, as they didn't want the rest of the features. If you install this mod along side WAWLA, WAWLA's version of the feature will deactivate. Can I help with mod support? Yes, go into the config and enable explore mode. This will allow your game to output a list of all missing descriptions to the log file. If you know what those descriptions do, or have contact with the mod author, ask them to provide descriptions using the description format. What is the description format? The description format is how this mod and others with similar features provide descriptions. It involves adding a localization key to the language file. The format is enchantment.MODNAME.ENCHNAME.desc where MODNAME and ENCHNAME are pulled from the String based ID. For example, minecraft:sharpness has a key of enchantment.minecraft.sharpness.desc. Bonjour / Bonsoir est ce que c'est normal que votre mods est compatible avec 3 mods ou il y a une raison technique ou autre ? Hello / Good evening is it normal that your mod is compatible with 3 mods or there is a technical reason or other? I maintain a lot of mods (64) so I use a build server to help automate the releases of my mods. Whenever there is a change to the GitHub repo the build server downloads the changes and creates new jar files and uploads them to CurseForge. I do this because I would frequently add bug fixes or features to mods and would forget to publish to CurseForge. The build is set to "alpha" by default because it is a bleeding edge build and I can't always guarantee it will be stable. I’m playing the Enigmatica 2 modpack (mod list), and it does not have this mod, yet I still see descriptions for enchantments that look exactly like those added by this mod. Do you know what other mod adds enchantment descriptions for vanilla and modded enchantments? This feature is also in the mod WAWLA. It was split out into it's own mod so people could still have the feature if they use The One Probe or other things. Can I get permission to translate the mod into Simplified Chinese? How can I translate the mod? The english file is here. Simply copy the file and change all the values to be what they are in your language. Then rename the file to be your language code. You can upload the file to GitHub and make a Pull Request, or upload it to a site like Pastebin or Hastebin and link it here, along with giving me permissions to include the translation with the mod. Hi Darkhax, i already did the translation, I made a request in GitHUB. Thanks for helping contribute to this mod. I've merged the PR and it should be uploaded to CurseForge very soon. I look forward to updating the translation for versions 1.13 and 1.14! Letting you know I've made a modpack including Enchant Descriptions here. Thanks! It is your sneak key bind. That explains it. I use a mod called Better Sprinting that supercedes the sneak keybind, so I have that unbound. I don't even feel bad about not figuring that out. I made issues on the Github pages for Open Blocks and Ore Excavation Integration. 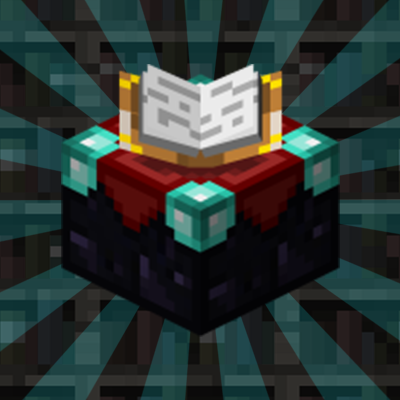 The only other mod in my pack that had missing enchantment descriptions was Bibliocraft. It looks like you made an issue there in 2017, which is still open. Since the Bibliocraft issue has been open for several months, I recommend adding that functionality on your side.